Why Do People Choose Rock The Mic? 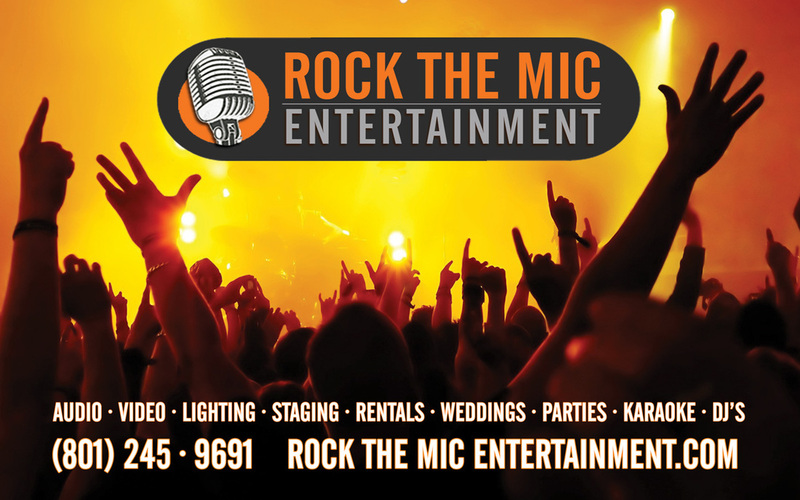 In just over a decade of being in business, we have gone from being a small DJ & Karaoke company to one of the largest entertainment providers in the entire state! Why? Because you have the most fun at our events, we keep our customers happy, and the venues and clients we work with have great events and ultimately get more business. We are one of the best companies in the area, and we use only premium, music and equipment to get your party going! We got our start doing large Dance Parties and Live Events, but have expanded to include everything from entertainment booking with live bands, city festivals, large scale events, audio engineering, lighting design, video services, fun runs, acoustic nights, weddings, corporate events, etc. We also rent speaker equipment, setup sound, stages, lighting, trusses, projectors, and have exhaustive experience with big sound and venues. Even after expanding immensely, we still love consistently doing what we started, which is DJ-ing, Emcee-ing, and Karaoke. We seriously are your One-Stop for all your entertainment needs. And we have amazing rates too! Call 801-245-9691 if you have more questions or need help planning an event. The companies' founder, owner, and operator, Brady McDonald has been DJ-ing for over 10 years and is committed to providing the best show possible. Coming from a background of DJ-ing Large Dance Parties (3,000-5,000 people) gives a different perspective to a live event. Obsessed with lighting and visual effects, Brady brings something to the stage that no other company can even compete with. Still ready and available to DJ weddings, private parties, dances, and any other event you may have, DJ MAC is a one man show guaranteed to bring the party! Hit 'em Up! If there was a picture in the dictionary next to "Karaoke Singer" you would see this picture to the side of it. ​KID KAROLINA IS KARAOKE!!! At the drop of a hat, this legend could rock one of over 100 different songs without even looking at the screen! With over 5 years of experience owning and operating the 2nd largest karaoke company in North Carolina, Kid Karolina is a One-Man-Show that is a force to be reckoned with.